Love the way you tied the scarf. I like how you add the colors in your inspiration posts. you look so chic babes! I love that jacket.. I strongly agree with all your points. Sometimes I have trouble with #2 (heart/ head point in diff directions) and #6 gets hard sometimes! But even if they're hard, I agree with all these! And I adore these yellow jeans!! Great advice. Loving the outfit. Each line of the things u recently realized my dear Tanvi is true, and I must to agree again with u!!! I really love those yellow pants!!! makes ur outfit pop! 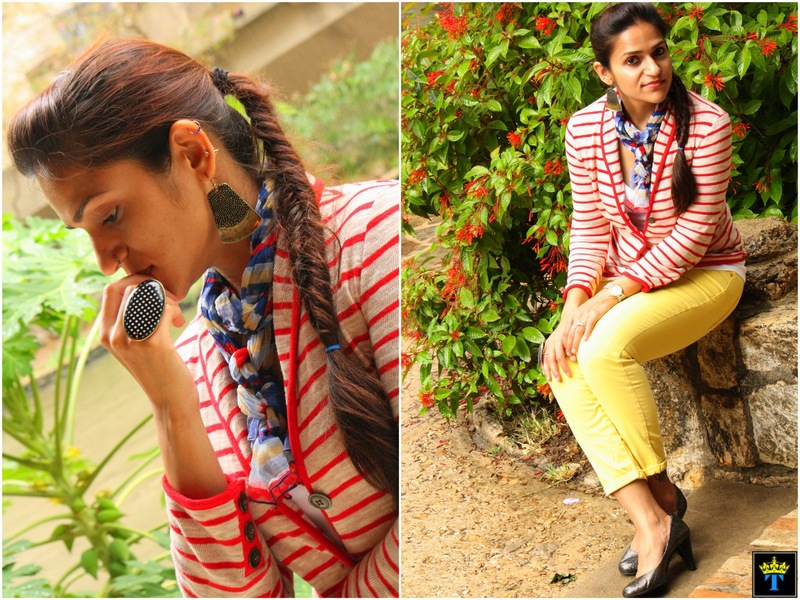 Yellow jeans looks fabulous on you with that striped red/white top and chunky jewellery. Agree with your points above, too. Excellent advise. Totally agree with what you are saying. I love the last point. It's brilliant and I adore your outfit. Yellow pants rock:) Muah, sunshine. cudnt agree moreeee wit the points tanvi n did u colour ur hair?? ?nice fish tail braid n ya love those jeans!!! Very pensive today - in words and in looks. What is up? I sooooooooo love that Polka dot ring Tanvi. It's size, shape and everything about it is awesome. Is there anywhere I could get my hands on a similar one? I love the advice you gave. My biggest flaw is not being able to say No!! Love your look as well. The blazer is amazing. Love the colours. Your scarf is knotted just so...and the ring is the show stopper! I bought my red pants inspired by the way you wore yours........now I've to go looking for yellow ones too! Sigh!! P.S. : I soooooo agree with the "listen to your heart" point. Ooh! You look so lost in thoughts :)I love the ring! So true Tanvi! I have a really hard time saying no to people, but I am trying to work on that. I love your bright little number today! Learning to not feel guilty for doing what makes ME happy was a hard lesson, but I'm so much happier now that I've accepted it! I always love when you show your inspiration. This look is so vibrant; the colors make me happy - and I don't feel guilty! Ha! i really love your fishtail braid and your yellow pants. and definitely don't feel guilty for being happy. you're a great person! You look forever awesome in the stripy jacket! Great post and words of wisdom! Love your words your look and your braid beautiful!!! You look fab in these yellow pants...so bold, so you...rock it girl!! I'm totally looking into that jacket! Love! Yay!The yellow pants are back!I LAAAAAAAAABHHHHHHHHH them!!!!!!!! So gorgeous, and so wise, dear Tanvi. well said. as always. love the pants! love what you said at the beginning and the last two pictures. omg totally luv the llok from canary pants to hair.. to boyfriend jacket everything totally awesome.. So, so true. :) I know my life would be a lot easier if my parents' got off my back. Ha! There are those fantastic yellow pants I adore. Sigh. Love that jacket and your fishtail! So well put together. So true - follow your heart and don't be guilty at being happy! you look great in brights and i really love how you paired up this outfit! cool! I recently bought a similar jacket in Black and Off white and paired with a sateen royal blue blouse and black pants! I thought it turned out well..I definitely can't pull off yellow trousers! and you realizations are great too. i need to listen to the "learn to say no" one the most! All your points are absolutely correct! I follow them too but not the last one :( Of all I like myself for listening to everyone but doing what i feel to! You look beautiful! Sometimes I feel saying no does make me a bad person, but you are right it does not! Sometimes we can't say yes to everything and everyone! Love the combo Tanvi. I think I will never get tired of telling how beautifully you can combine colors :) and the points...phews..I have been nodding my head all through..applies so aptly to my life right now! Wonderful Tanvi!! Love the look! learning to say no is a topper for me. rest I think is well settled in my life. Nice casual look and i think u look better than the model in there. 'Learn to say NO'... something that my Dad has been trying to teach me since years but sadly, I have still not learnt it. To make matters worse, NO is not my husband's word either! We get stuck all the time and then curse ourselves for it. Phheeewww!! Nice hair-do, Tanvi and it's really neat as well. My Fishtail is usually on one side. I need to try this one! Great post, love the yellow pants! It fashion with review of places to eat and shop in Mumbai. Wud love to hear your views on them!!!! Where to start on the fabulosity of this outfit. The hair, the jeans, THE RING! It's all so fab. Thanks so much for sharing on Monday Mingle. Some great point especially about being happy and following your heart. I am loving those trousers. Such a vibrant colour and some fab photos! Tanvi this is such a cute outfit. I love the bright colors and red stripes are always fun! All your points ring so true to me. 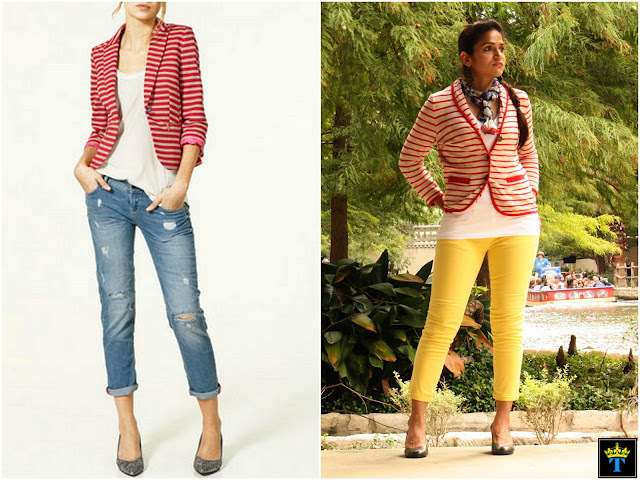 And I love the striped blazer! Have a great day! Nice pointers there. I love your yellow jeans. the red stripe is amazing! "Listen to everyone, but do only what your head & heart says"
And loved the jacket Tanvi! I love this look! n your ring.. love it!! Your blog is so consistently good that it's at risk for being taken for granted. Your advice is *always* so wise and your outfits are *always* so cute. Once in a while, we should take note of this and thank you for the superior creation you make. Thank you! Love how you twist the Zara look, and made it more fun! Saying no is definitely something I need to work on! Always like what you write and wear! Great interpretation of the Zara look, Tanvi! The yellow pants really did the outfit for me; much better than the Zara inspiration! Haha so apt! 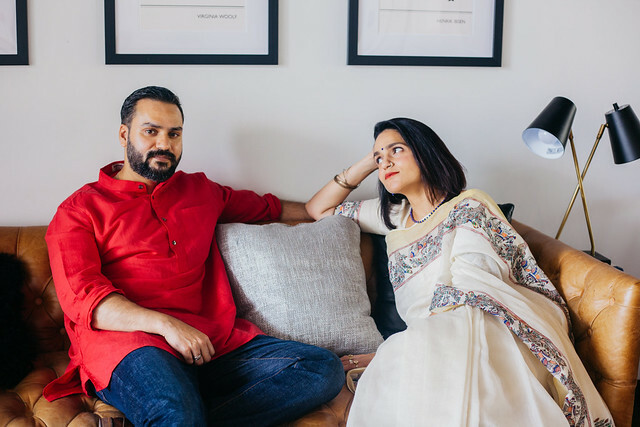 I just wrote a post on why I pretty much think karva chauth is BS :P. Many ppl might not be happy with my opinions lol. I heart the yellow pants- loving the colour! Great realizations. I love the outfit inspiration. Both yours and the Zara blazer are amazing. It just keeps getting better and better! u justify yellow pants! 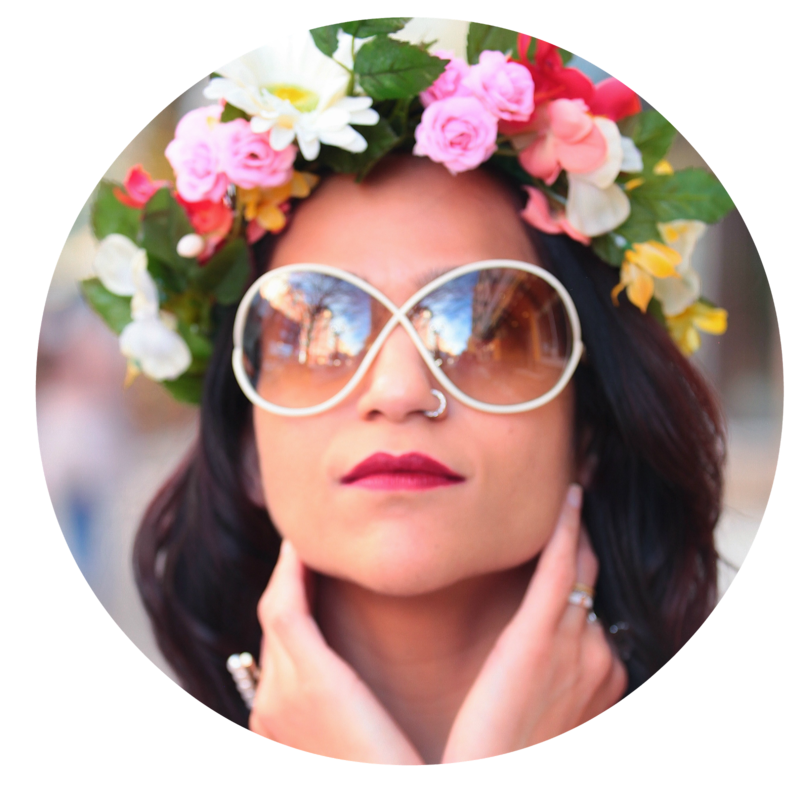 Great blog by you tanvii!